As a food photographer, you can almost count on being in situation where you got to improvise, prepare and do things food stylists do. I got to say it can be quite tricky styling the food in front of the customer … not to mention time is going to be your biggest enemy. I would highly recommend you get yourself familiar with some basic styling skills … it will be beneficial and helpful on the long run. I’m not saying food photographers can outperform food styling professionals but sometimes knowing few tricks could save you a lot of time and money. Most of the food you will be photographing will be placed on a plate and believe it or not, only top portion of that will be the actual subject. Lining plates with parchment or baking paper helps to add a fulfillment effect. While it may seem “full to the top” plate is the best way to go, an overcrowded dish can look less appetizing than a small portion. This could be an ideal opportunity to showcase a beautiful dishware and appealing surrounding elements. Capturing that perfect look sometimes means getting a bit messy. Instead of having everything perfectly symmetrical and clean it really helps to add movement and life to your photographs. If your baked chicken is a bit burned and the dish is not looking brand new … let it be. Most of the time food photos will look much better when presented in their real light. Fake ice cubes are highly demanded in photography and even in film production, because real ice melts quickly and is difficult to work with. Some production companies sell fake ice cubes but they are not cheap, often costing up to 30$ for a single cube. Fake ice is very handy to use and it doesn’t melt under the hot photography lights, so by using it you can really simplify your work. Photographers utilize glycerin to decorate their food subject with beautiful details and to make these details more outstanding, prominent and natural. In general, glycerin is sprayed using small bottles and you can find all these at your local pharmacy store. I tend to use it for photographing fruits and drinks because glycerin is a great tool for achieving “droplets effect”. 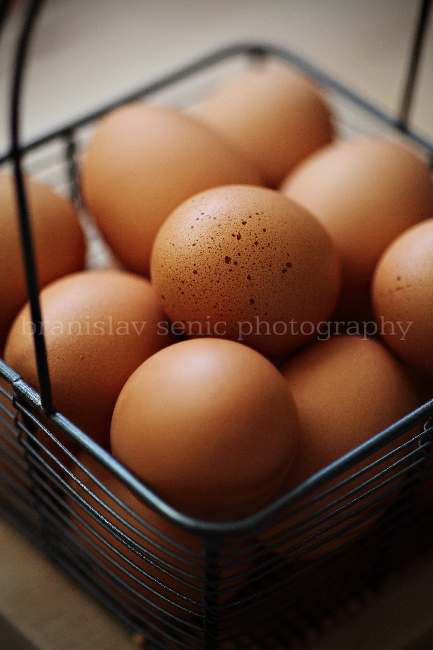 A lot of people ask me what kind of camera equipment they need for food photography. The answer is … the one you can afford. Shooting food doesn’t necessary mean you have to have top notch camera, lenses or lighting gear. Start with a decent DLSR camera (nothing too fancy) and maybe a couple of cheap lenses. I would always recommend 50mm prime lens because its focal length, speed and affordability. These lenses can do magic when paired with great lighting. If you can afford one good zoom lens too … that would be ideal. The only additional item you should consider buying is a tripod. Tripod is very helpful and comes super handy for this type of photography. To be honest, I can’t remember when was the last time I took the picture without my tripod. Natural light is the cheapest and for me the best lighting source. 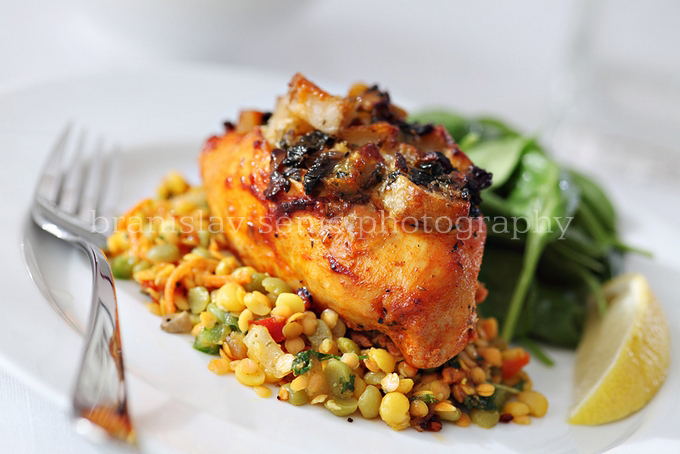 Large window light is ideal for the look most people want in their food photography these days. You can use all sorts of bouncers to reflect this light even further. Again, don’t spend a lot of money on fancy “camera store” stuff … something cheap as a piece of white cardboard will be just fine. After all, daylight helps presenting food in its natural condition. 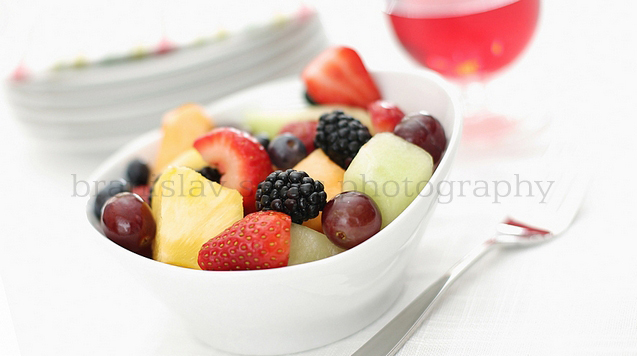 Besides natural light, a lot of food photogs use artificial sources. In general, artificial lighting is divided into two main categories. “Cold lights” refers to electronic flashes, much more powerful than those on your camera but basically the same idea. Strobes come in two flavors: monolights and powerpack/head systems. “Hot Lights” are traditional tungsten or metal halide Iodide lights that burn continuously. Both of these are used for food photography but for someone who just starting in this field, a nice & inexpensive flash unit will be just good enough. This is a tricky part. 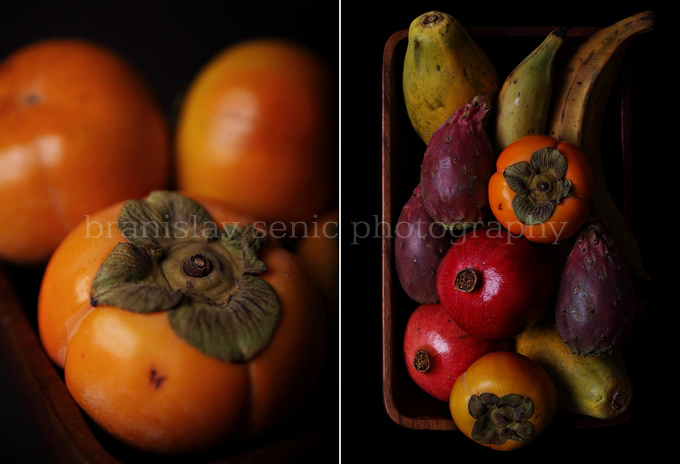 Food styling is often as important as any other aspect of food photography. The way the food is set on a plate, how is arranged and how it correlates to other items around it, makes a difference between great and not so appealing food photo. For any beginner, food styling is all about perceiving and imitating the look and feel of food you can see in magazines and recipes books. For start, try something pretty simple as fruits and vegetables. This would be an ideal subject for practicing your arrangement skills and playing with depth of field. Prepared food is another step. Don’t get discouraged if your food doesn’t look amazing right away … it’s all about practice. This is a very, very important part … I know because I learned my lesson the hard way. Before you click the shutter button, make sure you know what kind of look you’re going for, what you need to have (lighting, setup & props and lens) and how you’re going to put everything together. Generally, it takes much longer to prepare your “shooting set” than actually take pictures. Plan how surrounding elements on a table will be incorporated into your shot. Don’t rush because often mistakes are made when people try to speed things up. Upon successful shoot, try to remember or even write down the setting you used for that particular session. You’ll be surprised how many times this could be replicated … not even mentioning saving time. In general, props for food photography are quite important … you need to have a variety of different items in order to make food more interesting and visually appealing. Props are considered as items that can be incorporated in your setup. Everything from table cloth, utensils, plates and glassware to cutting boards and coffee cups fall under this umbrella. These items are usually placed in the background or foreground … they’re not there to “steal the show” but to present the food in the best possible surrounding. This is the last and final production step. Most food photos end up being moderated and altered in some shape or form. In case you shoot digital and most of us do these days, your camera allows you to shoot in RAW format. Using these files will provide better chances for you to improve your shots when post-processing in Photoshop, Lightroom or any other photo editing software. I would recommend Photoshop which is pretty much the standard photo editing program. This is a perfect application for removing small imperfections you captured but also a great tool when comes to correcting things like white balance, contrast, exposure or tonal range. Photoshop or any other application could be used to further enhance your final “product” … image sharpening, saturation adjustment or simple cropping. Once again, please be careful with your budget. You don’t need Photoshop (could be quite pricey) right away. Try some free software and see what you can do with it. I’m sure most basic alterations could be done with no investment what so ever.